The world's most cost effective scalable solution. Inexpensive to build, operate and maintain. Built with the amazing ARM based Raspberry Pi. Many software options and a vast developer community. Develop new cluster architectures that scale at very low cost before commiting to production designs. The world's leading computing education platform can now be used to teach network, cluster and cloud computing. All open source. 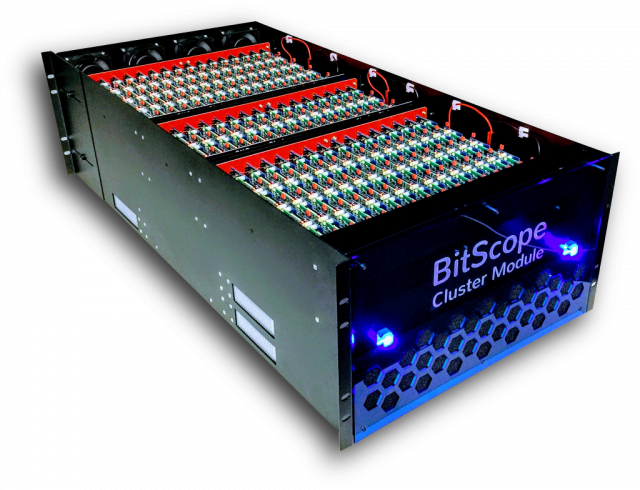 The basic building block of scalable BitScope Clusters. Each module packs 144 active nodes, six spare nodes and one cluster manager node in a single 6U drawer. Build a 1000 node cluster in 42U for less than $150/node. At less than 5W/node in typical operation you need only 6kW to run 1000 nodes including network fabric and air flow. 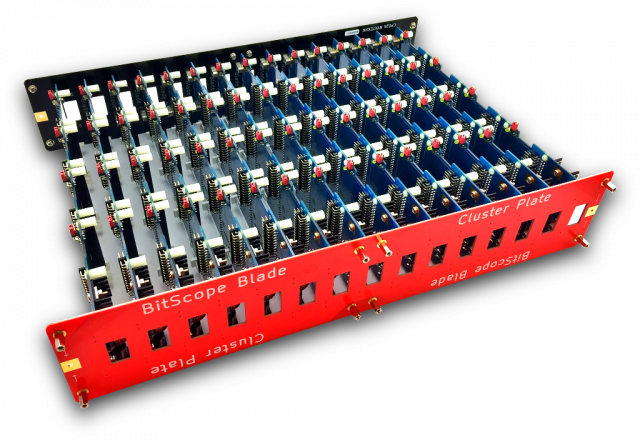 Raspberry Pi, the unit of computing in a BitScope Cluster. The third best selling computer ever, this tiny device punches well above its weight with a 1.2 GHz Quad Core ARMv8 CPU. 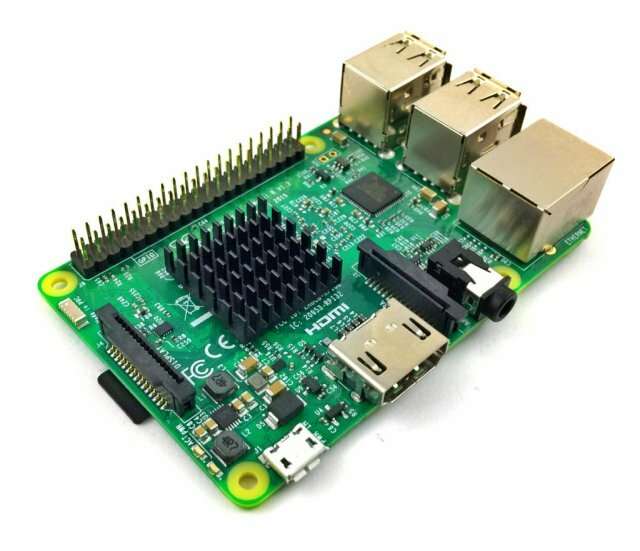 Fully provisioned with memory, networking and flexible I/O including USB for additional storage, Raspberry Pi is ready for action "out of the box". Even supports KVM or wireless access. Capable of running a wide range of full stack software, Raspberry Pi's focus on education, research and open source solutions has resulted in one of the world's largest and most enthusiastic developer communities. Whatever your software design objectives, you will find it easier to achieve with Raspberry Pi. The key building block of every Cluster Module. Cluster Packs simplify the mounting of thousands of nodes. They route and regulate power to every node, locally. Power the packs and you power the cluster.